Over summer 2013 German football team, Hannover 96, upgraded its home stadium, the HDI Arena, with Kling & Freitag’s Sequenza line array system. 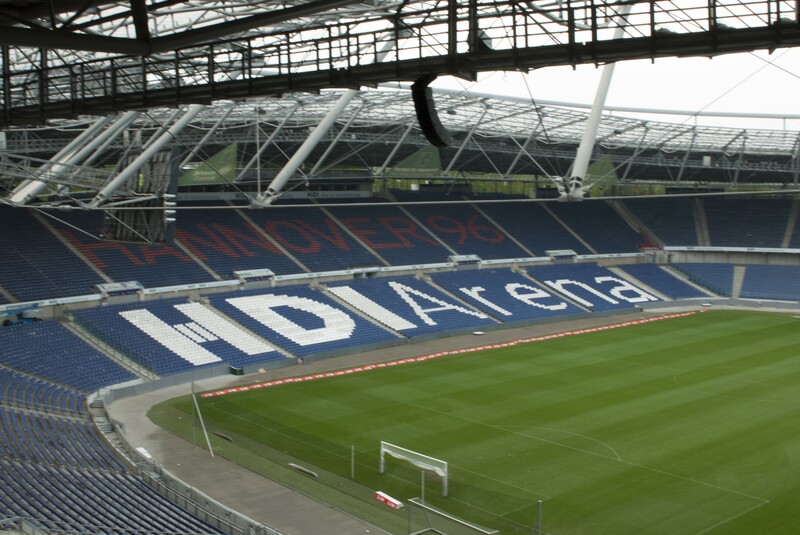 On Saturday 12 April 2014 for a match against Hamburger SV almost all new loudspeakers and amplifiers were used for the first time in the 49,000-seater stadium. The upgraded system is a step up from a pure voice system that was primarily designed for making security announcements. The newly installed solution is a quality event sound system with optimised music quality and speech intelligibility. A total of 43 Kling & Freitag Sequenza 10 systems were installed in the stadium’s lower tier, as well as 74 Kling & Freitag Sequenza 5 systems for the upper tier. The modern line array elements – which were designed for live concerts – have been slightly modified for continuous operation at the stadium. Kling & Freitag products have been part of the premium segment with the highest quality standards since even before EXPO 2000 and the Bregenz Festival. “We are particularly pleased with the smooth progress in implementing the sound concept, which was mainly distinguished through the high degree of cooperation and perfect interaction of all those involved.” said Lars Heinrich, sales & marketing manager at Kling & Freitag.